THE SKINNY: This is one of those anti-aging gels that you are supposed to apply nightly. The problem I always have with gels is the way they feel on your skin -- like a thin, almost crisp layer. 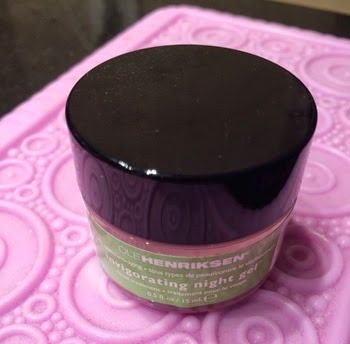 While there was a hint of that feeling with Ole Henriksen Invigorating Night Gel, it was very faint. This is the lest "ick feeling" gel I have tried. And it did a nice job. After a few days of use, my skin started looking a little better. It was smooth. This product contains alpha hydroxy acids and a vitamin combo to do the job. It is supposed to nourish and renew skin while adding moisture. It really is hard to go wrong with something from the Ole Henriksen line of products. CHECK IT OUT: Find it at beauty retailers or Ole Henriksen online.